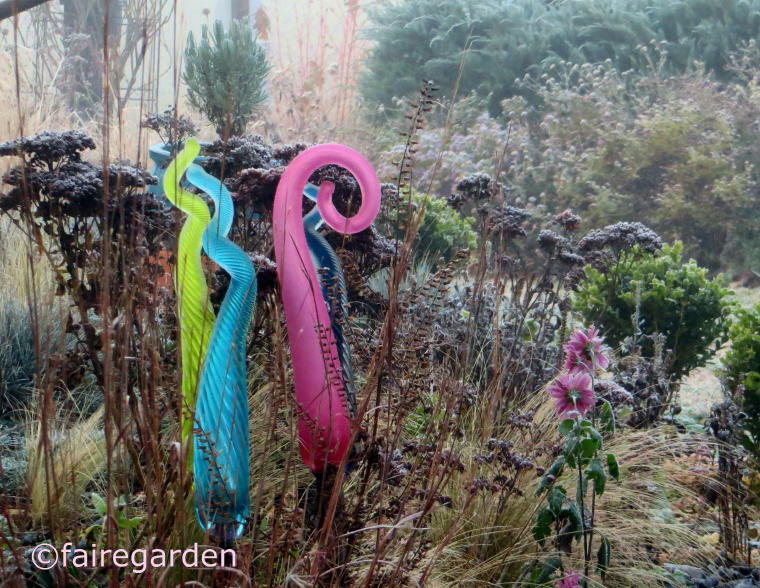 Love the character and individuality of this garden, full of personality! Mark and Gaz, very well said! I thought that you guys might like it :-)! Just beautiful!Love the blue vases,so charming! Je découvre ton blog par le commentaire laissé chez Sophie ! Tu fais de belles balades . Mias Jacqueline, welcome to my blog! So glad you came over from Sophie's blog. Hope to see you here more often. I will check out your blog as well, when I have a moment! 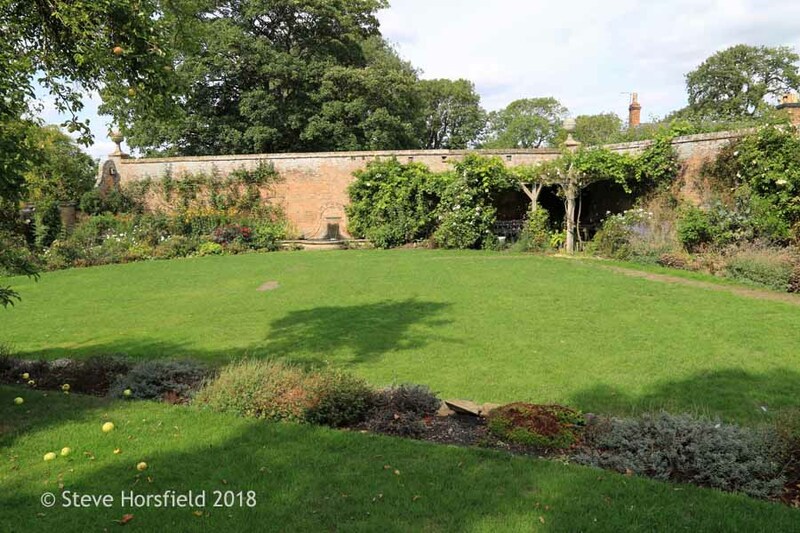 What an interesting and lovely garden space. I love all of the blues. Es un jardín precioso, me encantan los cactus. Saludos. That's a beautiful - and well-maintained - garden, Christina. Keep in mind that you don't have to use succulents to create a drought tolerant garden, though. I have a feeling you'd really like drought tolerant plants in the Grevillea, Leptospermum and Leucadendron genera, among others - all complement roses very nicely! Christina, what a beautiful drought-tolerant garden. I love all the tile and I can just imagine breakfast or dinner in that lovely space! Thanks so much for sharing at Gardens Galore! Pam, usually I am not a fan of bold colors, but here with this Spanish Style house and drought tolerant garden the Spanish tiles work beautifully. Maybe because they bring in the color that is lacking because there are not so many blooms. That's a beautiful space and must be a wonderful place for morning coffee, or to sit under the stars on a warm night. July is always the worst month, but it is almost half over! Stay cool in this dreadful heat. I enjoyed the garden pictures! Here in Austria it is unusually hot and dry this summer and my plants are suffering too. 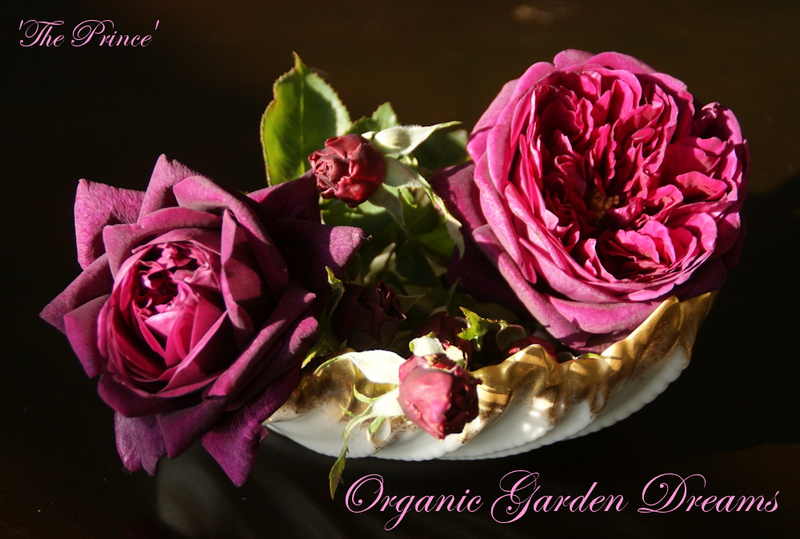 My rose flowers wilted very quickly this year and even plants that usually like the sun a lot, such as my lavenders, seem to suffer due to the heat and I have to water my garden twice a day. Fortunately there was some heavy rain two days ago and now the soil isn´t as dry anymore. What a fabulous courtyard! The architectural details, accessories, and drought-tolerant plants all come together to create a unique and beautiful space. I agree. This garden has a lot of interest and personality. Thanks for sharing. Absolutely stunning. I also tend to prefer plants that need water! LOL But, it would be difficult to find fault with this enchanted succulent garden. It's like movie set from the 40's in a dessert paradise! I took your advise and clicked on the link to the front yard, which is also lovely. But, this courtyard is really almost magical. Thank you for sharing. I found your blog via Beverly's Pink Saturday blog hop. A very beautiful and unique garden full of lots of eye candy! Thanks for sharing with SYC.